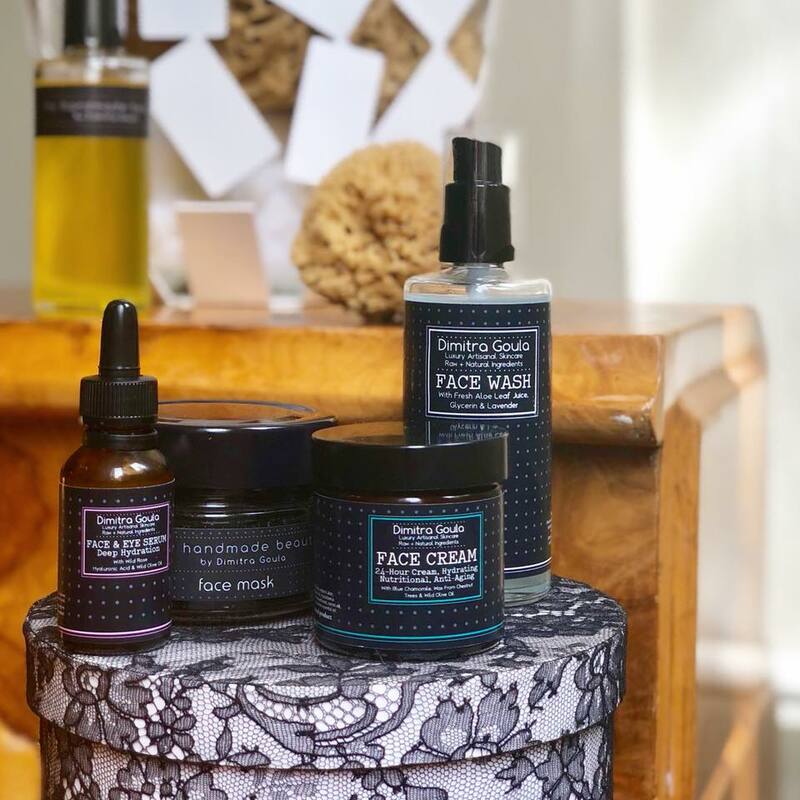 Dimitra Goula is a modern-day alchemist who has created her eponymous artisanal, luxury skincare house as an answer to individuals looking for singularly holistic beauty. Her line will be launched on the international market in 2018. A country blessed with an abundant wild agriculture, Greece serves as the source for the ingredients used to make Dimitra Goula products, which are sold exclusively in her Athens institute, from her website shipped via dry ice, and select retailers. Organic by nature, each are highly selected strictly from areas free from atmospheric pollution, while ensuring that they are processed with respect and care until the time they are used by her skilled team of aestheticians and the end consumer. One proprietary ingredient, The Secret, is a coveted compilation of ancient herbs hand harvested by Greek and Tibetan monks living on the Holy Mountain of Mount Athos. Other ingredients used include essential oils, wild olive , blue camomile, black charcoal, royal jelly, beeswax from the chestnut tree forest, and hundreds or other aromatic and high-property-producing plants Dimitra has spent years researching for their efficacy. Given that all of the products are individually created by hand, Dimitra Goula maintains a small, limited production laboratory. The line must be kept refrigerated and uses the highest-grade organic ingredients; 100% natural with 0% preservatives, 0% colourings, and 0% perfume. Every product is made to order and have a preparation date and an expiration date of three to six months. Behind every celebrity face in Greece is Dimitra’s ethos, and now she will bring her philosophy to a global market. Inherent beauty is power. Join her.